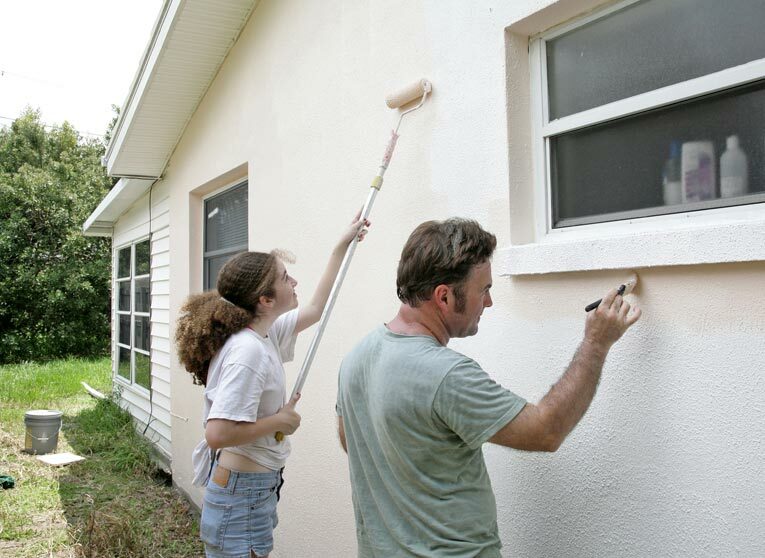 Concrete has become an affordable alternative to such standard building materials as lumber. 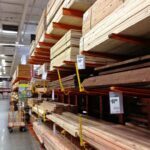 As energy costs climb upward, accompanied by rising lumber and labor prices, home builders are seriously exploring alternatives to traditional wood-frame construction. Ironically, one of the most promising and “new” home-building materials is actually as old as the hills: concrete. 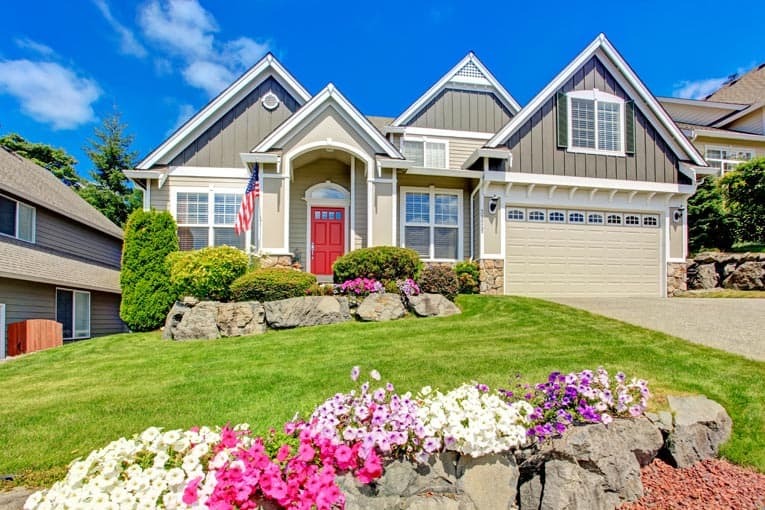 In home construction, concrete has long been the standard for foundations, slabs, driveways, and patios. But until recent years its heavy weight and lackluster appearance relegated it primarily to low-visibility uses. Now a variety of new technologies and products have given concrete an entirely new personality. Today, concrete materials are used for house wall construction, roofing, siding, flooring, paving, and more. Composed of cement or lime, an aggregate such as sand or gravel, and water, concrete dates back to Roman times. In fact, concrete was prevalent in many early civilizations where natural cement deposits existed. Its modern-day popularity began in the early 19th century, when portland cement—a strong, durable, artificial cement that can be manufactured almost anywhere—was invented (cement is produced when quarried calcium, silica, alumina, and iron compounds are heated at very high temperatures). Concrete soon became the material of choice for dams, highways, large buildings, and other structures requiring strong, massive construction. Today, ordinary structural concrete is made from portland cement, water, and sand or aggregate. The cement and water mix to form a paste that, through a chemical reaction, binds together aggregate such as sand, gravel, or crushed stone. 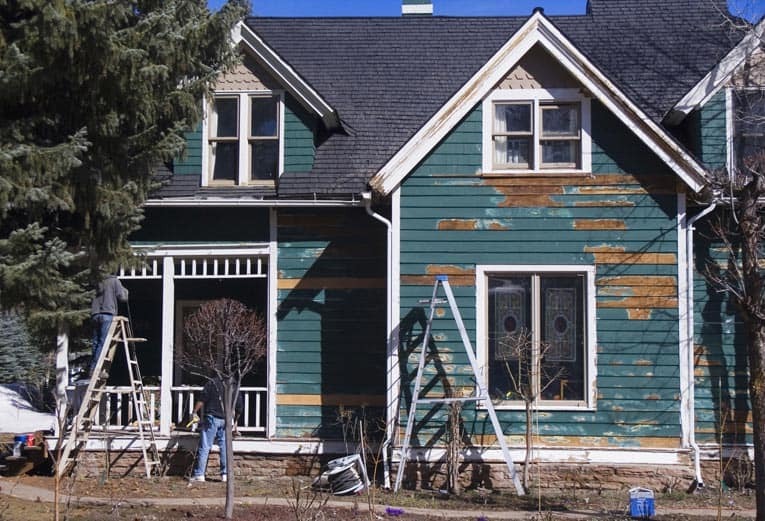 A pigment—iron oxide, for example—may be added to give the finished concrete a decorative look. As this paste cures, the mass becomes rock-hard. The quality and strength of finished concrete rely on the makeup of the “mix.” Ideally, the cement paste coats and completely fills all of the voids between every particle of aggregate, a feat accomplished through proven formulas. Concrete is “cured” to minimize shrinking and to increase tensile strength, normally by keeping it damp for several days. In most cases, concrete alone is not strong enough to withstand eventual cracking, unless it is properly reinforced. A slab or patio typically has a wire mesh embedded in the surface; a foundation or wall has a skeletal core of steel reinforcement rods. 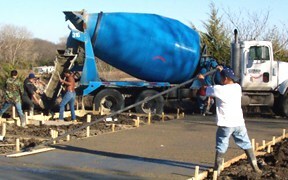 Conventional driveways, patios, slabs, and foundations are cast in place; normally, temporary forms contain the semi-liquid material until it dries, and then the forms are removed. 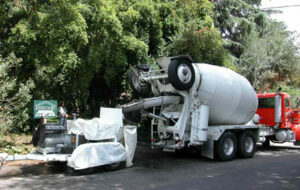 The concrete is mixed on site or delivered from a central supplier by a rotating-drum truck. The latter type, called “ready-mix” concrete, is usually more consistent in quality than site-mixed concrete. Concrete is also sold precast as foundation piers, roof tiles, pavers, building blocks, and more. Many of these precast products incorporate innovations that make them highly practical choices for home building. In general, precast concrete eliminates the variables and inconsistencies of site casting and the need for building forms. Before you arrange for concrete to be delivered, familiarize yourself with how to pour a concrete slab (see below); you won’t have time to read instructions once the work begins. If the truck driver has to wait more than half an hour, you usually will incur extra expense, so plan to move the concrete quickly. 1Have all the necessary tools on hand, including two wheelbarrows. 2Be ready with at least one reliable helper, preferably two. 3If you want a smooth steel-trowel finish, line up an experienced concrete finisher. Concrete can be pumped through heavy duty hoses from the street to job site. 4Install any isolation joints as well as wire reinforcement beforehand. 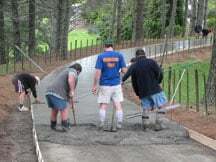 5Run and test wheelbarrow paths, install all forms and guides, and make sure that they are securely anchored. 6If required, make sure the building inspector has checked the site before you pour. 7If your design includes metal post anchors that will be embedded in the slab, make sure to have them on hand.